Welcome to the September issue of the Downing IP Newsletter. In this edition we talk about the exciting new changes at Downing IP, and take the opportunity to look ahead and see what lies in store for the EPO in the next few years. As you may have read we have recently celebrated our 5th Anniversary and to cement the success of Downing IP, we have just moved into our new offices in Beaconsfield. The new premises have plenty of room for the team to grow and is a welcoming place for clients to visit. Grosvenor House, Horseshoe Crescent, Beaconsfield, Bucks, HP9 1LJ. We are delighted to announce the arrival of our newest team member, Stephanie Brickell. Passionate about technology with a design engineering heritage, Stephanie has a range of experience providing trademark, patent and design right support to small and large industrial prosecution. 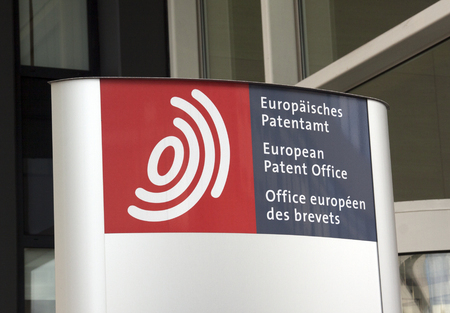 The European Patent Office is changing. One of the imminent changes is the presidency of the European Patent Office. The strong willed president Benoit Battistelli, who has been known to walk out of rooms if he doesn't like what he hears, has caused unrest within his teams since he started his tenure in 2010. His time in office finishes in June 2018, and in July there was a public vacancy advertised for his replacement. This, however, has now been removed following an internal reshuffle. A 2 year extension to the presidency has only been granted only once before in the EPO's 40 year history, so we are expecting changes to the presidency. As part of an internal restructure, Alberto Casado Cervin will extend his duties to head EPO Directorate - General Patent Granting Process. The new role will merge patent applications and operation support with an expected completion date of January 2018. So it is business as usual at the EPO in the meantime, but we will keep you informed of any changes as they happen.